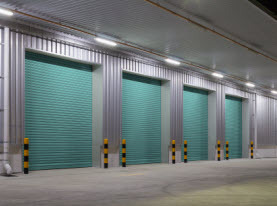 AAA Action Doors is completely licensed and insured to supply the commercial businesses and residential homes of the Las Vegas, Nevada Valley with garage door services. Our commitment to upholding high moral standards, work ethics and friendly customer service complements AAA Action Doors technicians’ abilities and workmanship to separate us from the competition. AAA Action Doors uses high-end products, equipment, tools, and supplies sold only to licensed professionals to ensure premium results. AAA Action door specialists have advanced training, years of valuable experience, and superior skills to perform our garage door services with quick efficiency. We know there are a lot of questions consumers have regarding garage doors. We have taken the time to answer the most common. If you do not see your question listed below, always feel welcome in calling AAA Action Doors and our friendly staff will answer any questions you have. Question: How much is the average cost of residential garage doors? Answer: Unfortunately this question isn’t easily answered with too many variables that need to factor in such as; styles, materials, size, insulation, hardware, and windows. All of these must be considered. Question: Can garage doors be made custom made? Answer: Yes, garage doors can be custom made. Garage doors have standard sizes as well as unique sizes. Having your door custom built requires knowing what the size it is as well as the specs you so desire. With a detailed consultation you can easily acquire the garage door more liking to tastes. 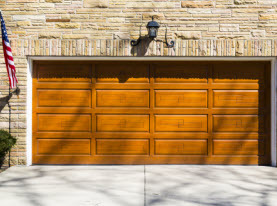 Question: How often do residential garage doors need to be replaced? Answer: Garage doors that are inoperable can pose a safety risk and should be replaced as quickly as possible. Other than that a professional from AAA Action Doors can perform a comprehensive garage door inspection service and provide a detailed report to you on any needed repairs or if the most optimal solution is to replace your garage door. In most cases, depending on the quality door and the maintenance services you obtain dictates how long your garage door will last, anywhere between 10-20 years. Question: Can windows be placed anywhere on the door? Answer: Yes, windows can be installed anywhere within reason, however for favorable lighting and security benefits, we recommend keeping them on top. Question: If the glass in my garage door is damaged, can it be replaced, or will I have to replace the whole garage door? Answer: In most cases the windows are easily replaced, and with modern advances, replacing the glass with security features to avoid damage is highly recommended. Question: Do garage doors need locks for maximum security, or is the electrical opener sufficient? 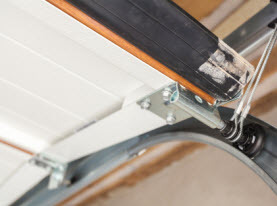 Answer: The electrical door opener is generally adequate for keeping your garage door secure, however for added protection; it can never be too much to add electronic locking devices on your garage door. Question: Are there any garage doors that are safer than others? Answer: Safety is a major concern with garage doors engineers; they are the heaviest moving object attached to your home. It is standard for electrically opened doors to be equipped with safety precautions. Older garage doors lack the safety protocols modern doors have. 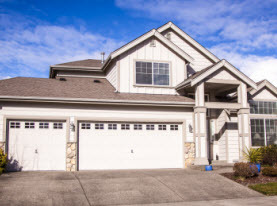 To ensure your garage door provides the safety you need, have a professional garage door inspection service to evaluate the safety of your garage door. Question: Are insulated doors really more energy efficient or is this a scam to gouge more money out of people? Answer: Yes. Garage doors that are not insulated permit the outdoor air to influence the temperature in the garage, which often blends into the living space attached to the garage or above. Insulated doors improve energy efficiency. Contact AAA Action Doors for all your garage door needs!